In addition to the new site platform and bandwidth challenges, cross team collaboration is needed for SEO recommendations approvals and implementation. These decisions can affect multiple aspects of product marketing, and the multiple Smartwool teams were siloed, focusing on their respective disciplines. The SEO partnership began by conducting a Content Audit to understand the state of optimization and Technical SEO Audit to fix any back-end issues of the Smartwool website. Following the audits, Smartwool was presented with a prioritized action plan, including step-by-step guidance for fixing identified issues. Blast also created a Content Theme Strategy that identified in-demand keywords and themes to target, and acted as a roadmap for content development moving forward. The branding team controls how products are referred to within the website, as well as the packaging, etc. Blast worked with this team to update/develop new product names based on customer demand. Recommended that they move away from an image-based design to a keyword-rich, text-based design. This ensured that content satisfied the needs for both customer and search engines. Due to the above changes, Smartwool hired a full-time SEO specialist, as well as writers, to develop quality content consistently and at a faster rate. They also reactivated their blog, which was a powerful, brand-building tool. 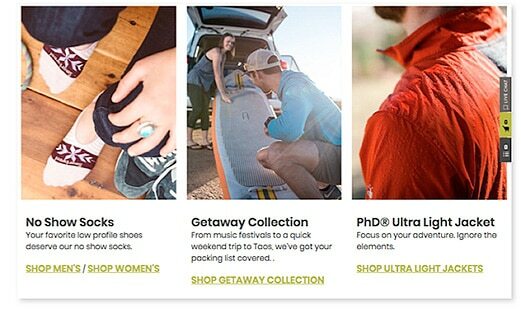 Working with Blast to implement SEO recommendations, Smartwool saw fast results. 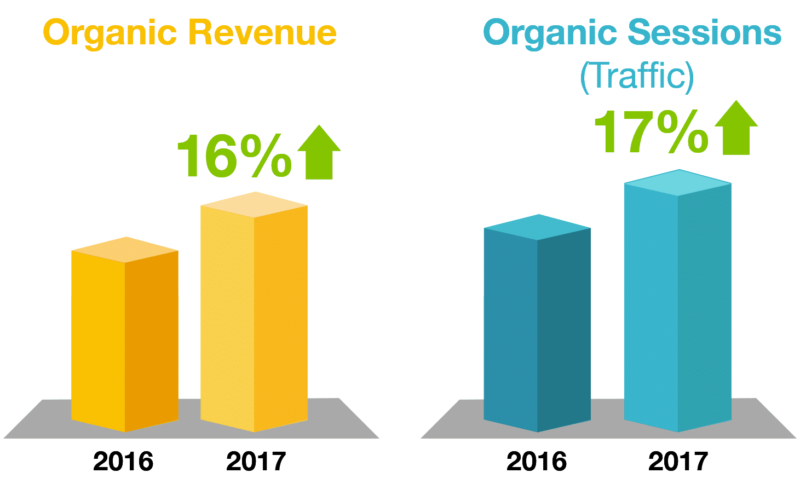 Multiple departments and facets of Smartwool had successfully integrated the recommendations into their workflow processes leading to increase in both organic revenue and organic traffic. In addition to helping Smartwool understand the priorities needed to improve their organic performance, Blast also helped them understand the resources needed within their team. They have the necessary resources to support recommended SEO initiatives and Blast continues to train new Smartwool team members. Furthermore, Blast helped establish content production and overall marketing processes that coordinates with multiple departments and involves all key stakeholders. These processes are a more strategic approach that focuses on long-term success. We were rolling down the hill fast in regard to loss in organic traffic and revenue after launching our new platform. Blast not only stopped the degradation, they were key in educating and developing a SEO-first mentality within our organization. We are back on track and out pacing our targets.